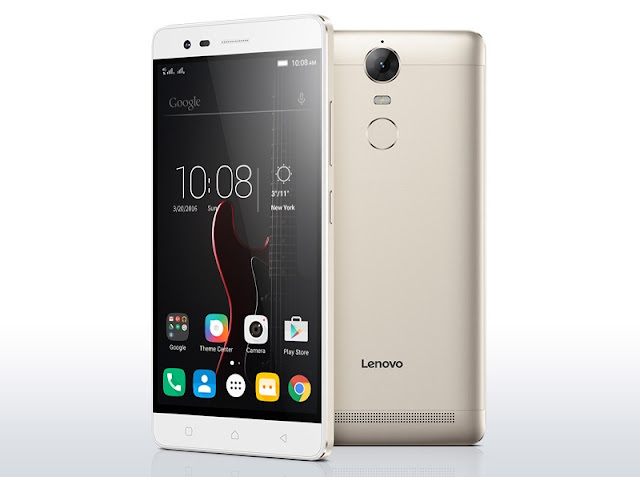 Lenovo has launched their new smartphone in India - the Lenovo Vibe K5 Note. The device looks good with no big designs. It has capacitive buttons and a fingerprint sensor at the back below camera. The Lenovo Vibe K5 Note has a 5.5-inch Full-HD Display. The device runs Android 6.0 (Marshmallow) with Pure Skin on top. It is powered by 1.8GHz Octa-core MediaTek Helio P10. On the storage department the device packs 32GB internal with 3GB of RAM for INR 11,999 and 4GB RAM for INR 13,499, expandable memory up to 128GB. It features a 13MP rear camera and a 8MP front facing camera. It gets the juice from a massive 3,500mAh non-removable battery.